If technology has you confused, this is the place to be. We’ll do our best to break down complex topics, and convey them in a way everyone can understand. These Upgrades Will Improve Your PC Performance the Most! Need a faster computer but aren’t sure what you should upgrade on your PC? Follow our PC upgrade checker to find out. Want to speed up your Wi-Fi? Follow these methods to fix slow internet speeds that are spoiling your time online. Could disabling SuperFetch improve Windows 10 performance? Here’s what SuperFetch is, how it works, and how to disable it. What’s the Difference Between 32-Bit and 64-Bit Windows? What’s the difference between 32-bit and 64-bit Windows? Here’s a simple explanation and how to check which version you have. What Is the OBD-II Port and What Is It Used For? If you purchased a car after 1996, it probably has an OBD-II port. But what is it for, and how do you diagnose errors with it? What is shadowbanning? And what can you do to prevent a social media platform from shadowbanning you? That is if it even exists. What is battery calibration, and does it really work? Here’s how to calibrate an Android battery and whether it’s necessary. 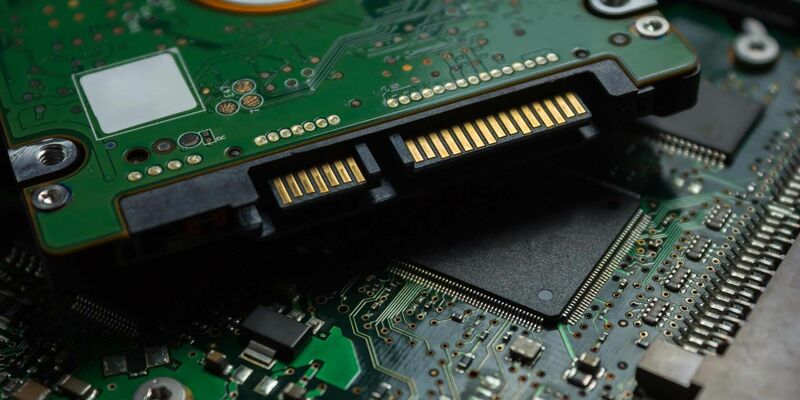 Buying MicroSD cards may seem simple, but here are a few critical mistakes to avoid if you don’t want to regret your purchase. Browser cookies aren’t all designed to reduce your online privacy—some are there to help you. Here’s what you need to know. You want to buy a new computer when you can get it for the cheapest price. But when is the best time to buy a new computer? The PayPal Extras MasterCard seems like a great deal, especially if you do lots of online shopping. But should you apply for one? Struggling to choose between the Google Home Mini and Amazon Echo Dot? Find out which is the best affordable smart speaker. What Is Wi-Fi 6 and Do You Need a New Router? There’s a new wireless standard coming. But what is Wi-Fi 6? And should you upgrade to a Wi-Fi 6 router? What Is HTTP/2 and How Does It Affect the Internet’s Future? The internet is set to become more efficient thanks to the arrival of HTTP/2. But what is it and how does it improve on HTTP? What Are OEM Products and Why Are They Cheaper? OEM stands for original equipment manufacturer. Should you buy OEM products, or is there a catch that’ll set you up for trouble? Defective smartphone chargers cause fires. So how can you check if the charger that recharges your phone or tablet is safe? Tom Cruise hates motion smoothing. So much so he has made a PSA urging you to change the settings on your TV. This must be serious. Buying a new smartphone? Know what features you need? Check these features to ensure your next phone is perfect for you. What Are Gaming Routers and Are They Worth Buying? Think you’ve got all the top gaming hardware? What about a gaming router? Here’s what you need to know before you buy one. What’s the Best Router for Gaming? Here are five of the best gaming routers on the market today. Moore’s Law has dictated the pace of technological development for decades. But what happens when its physical limits are reached? Concerned that the mobile version of your website is slow or resource-heavy? Find out how Google AMP can speed things up. What is USB OTG and how can you use it on Android? We explain the feature and the many ways to utilize it. Will VPN services still be running in 10 years? VPN technology is evolving. Here’s how WireGuard will play a key role.